I love coffee so much, it’s honestly the first thing I think of when I wake up. I used to set my coffee machine up every night to brew the next morning. My wife and I both prefer to drink iced coffee for different reasons. When I was working in the corporate world, I used to take an hour long train ride into the loop. The brown line was always packed like sardines in a can, and the last thing I wanted to drink was a hot mug of coffee in the middle of the summer. 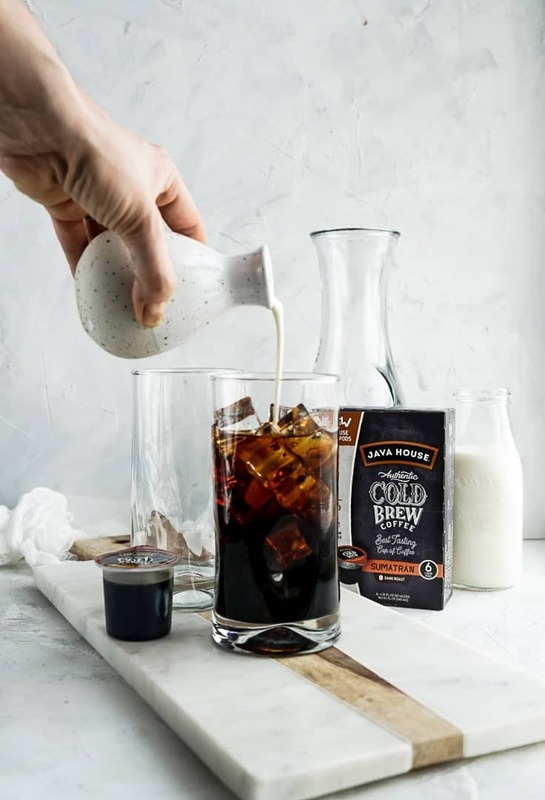 I discovered cold brew a couple years ago and fell in love with the smooth flavor of this chilled beverage! 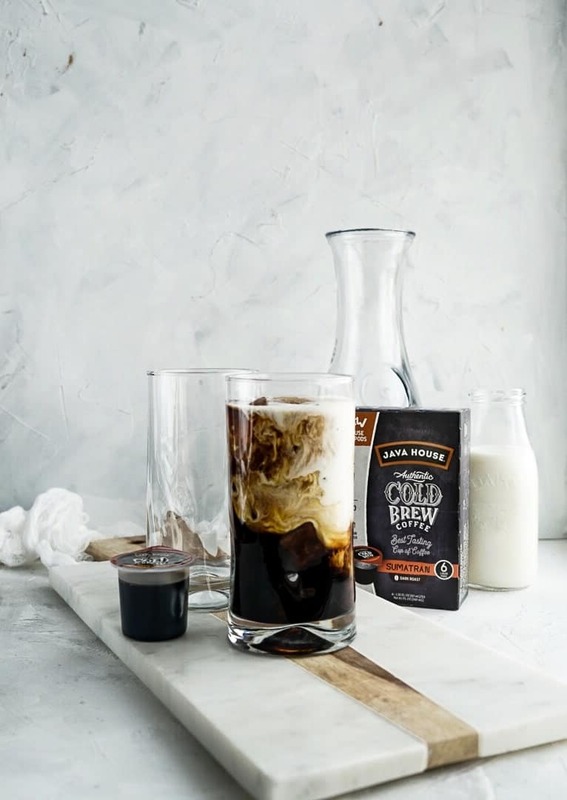 Cold brew coffee is made by steeping ground coffee in room temperature water for at least 12 hours. You start with a coarser ground coffee, steep and then filtering out the grounds for a clean cup without sediment. 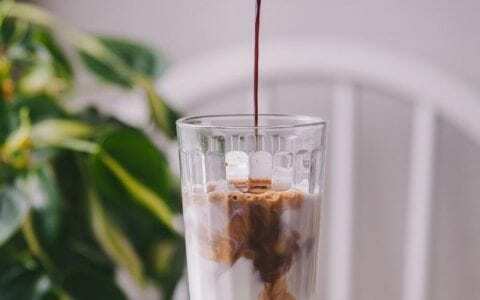 Unlike regular coffee, cold brew is never exposed to heat. 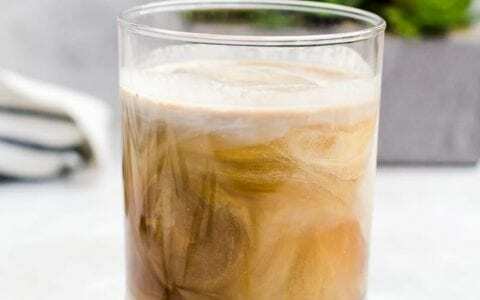 Are there any benefits to drinking cold brew coffee? We love the smooth taste of cold brew here at the Dinner Fairy house, but I was happy to discover that it also comes with some benefits! First, is it less acidic than a traditional hot cup of joe. 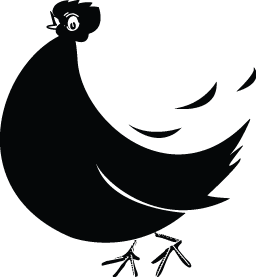 This happens because coffee grounds, or more specifically the various oils, acids, and other aromatic molecules, are most easily extracted at about 195-205 degrees. It’s perfect for drinking by itself, or making lattes! 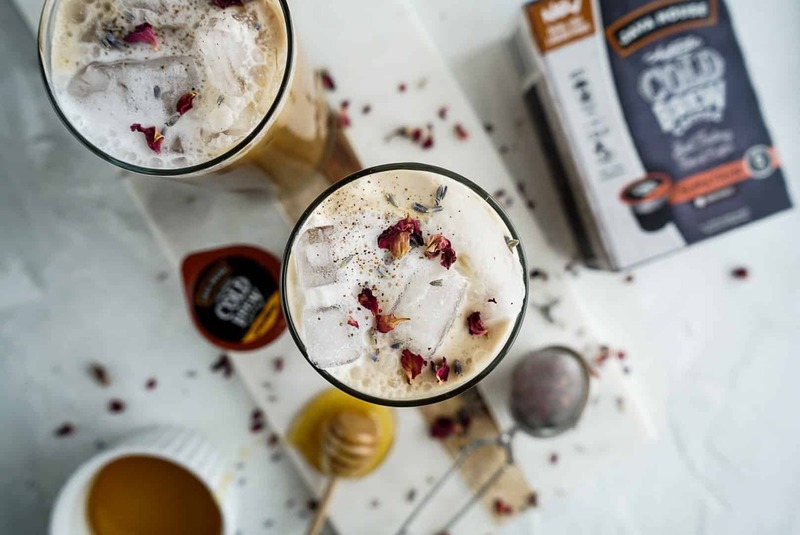 Scroll down to learn how to make my Iced Lavender Cold Brew Latte! When you create coffee at room temperature, less acid forms, which is what typically gives hot coffee its signature bite. 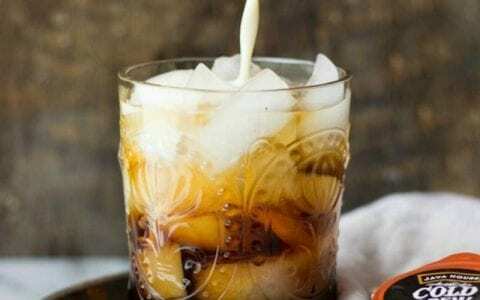 Iced coffee will still have that bitterness, while cold brew is a lot more smooth and less acidic. Don’t fret! 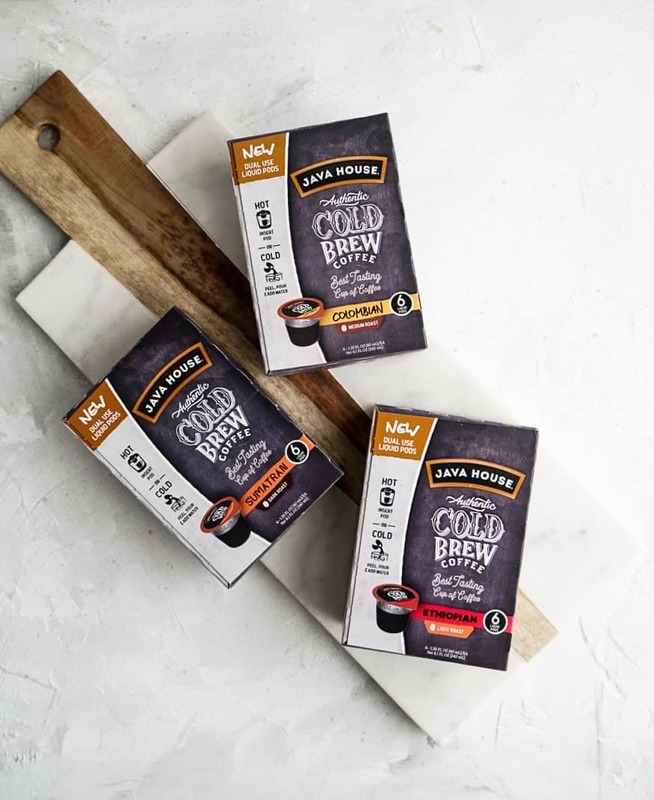 You can still enjoy a hot cup of coffee using Java House cold brew pods. Just heat up the water before adding it to your cold brew mix. 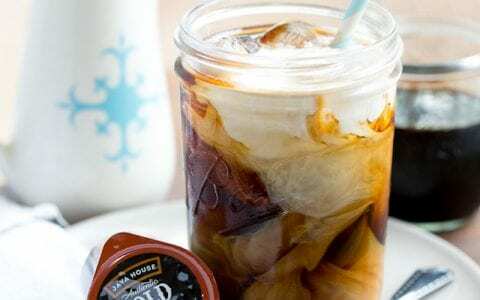 What other cold brew flavors can I enjoy from Java House? 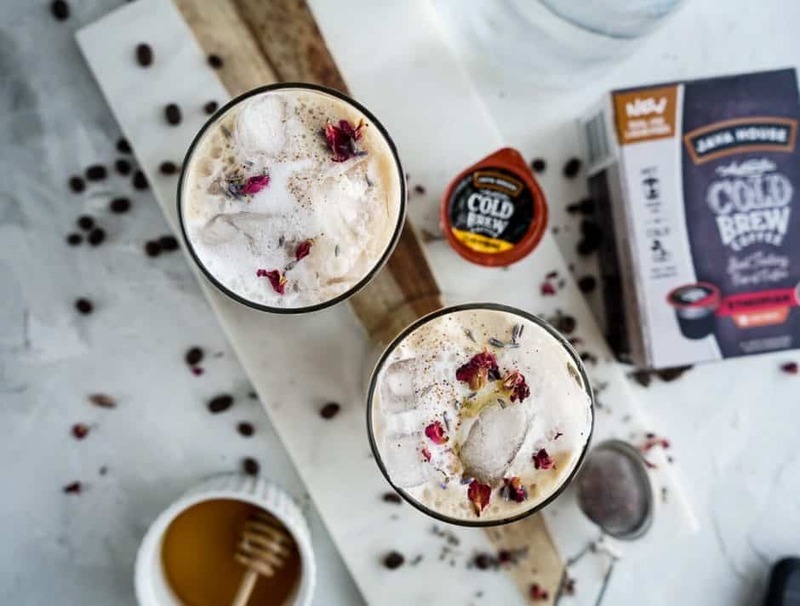 How do I make cold brew with Java House pods? 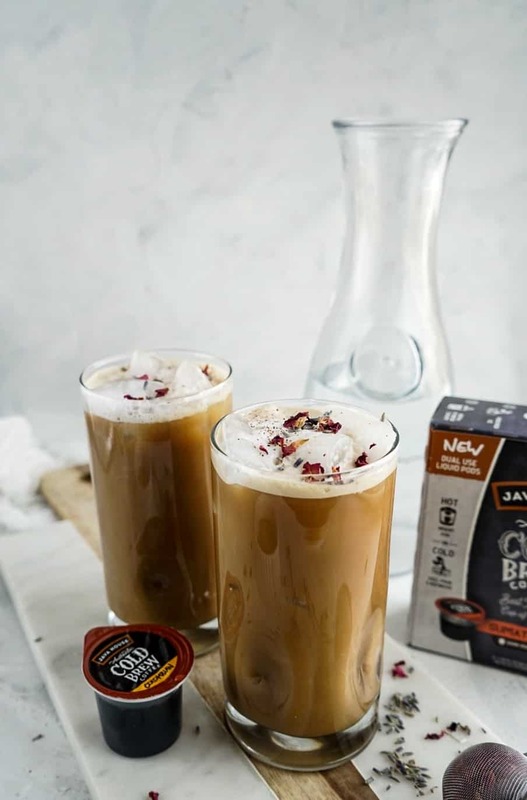 Every cold brew pod from Java House has that delicious taste of cold brew in concentrate form. What does that mean? 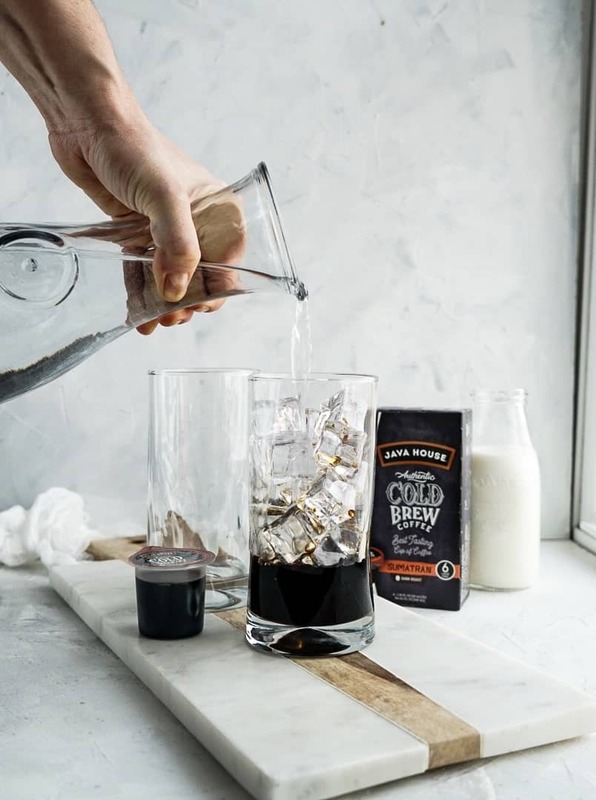 By just adding 8 ounces of water (hot or cold), you can have a delicious cup of cold brew in just minutes! 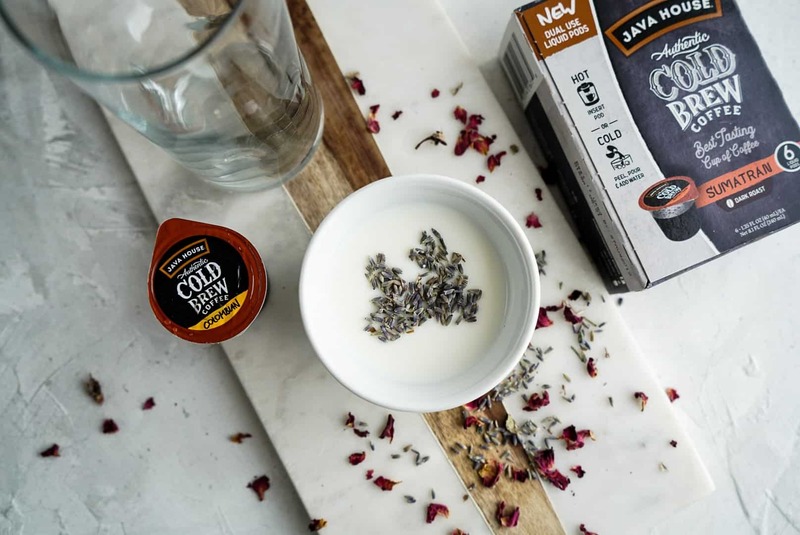 Java House takes does the leg work for you, so you don’t have to steep coffee beans overnight. Have a single serve brewer machine at home? 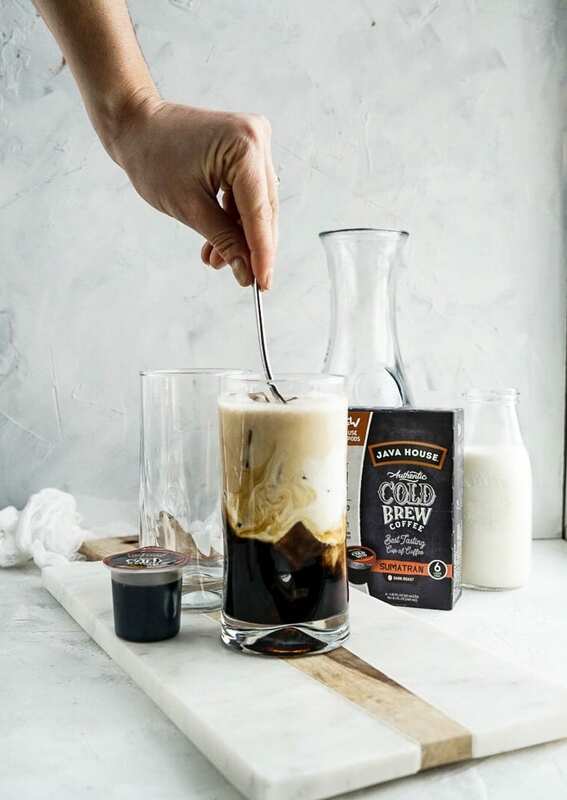 Simply pop the liquid pod into your single serve brewer to enjoy a smoother cup of cold brew hot. 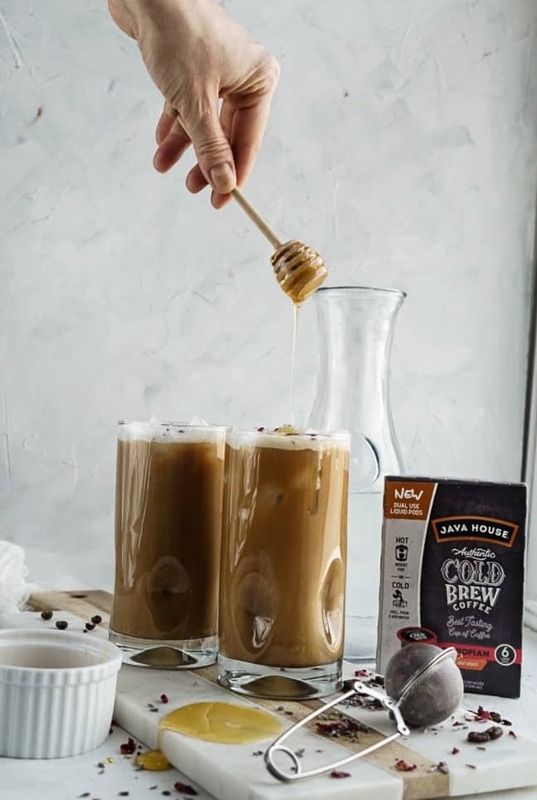 You’ll be happy to learn that Java House cold brew pods don’t have any preservatives, additives, or coffee derivatives. 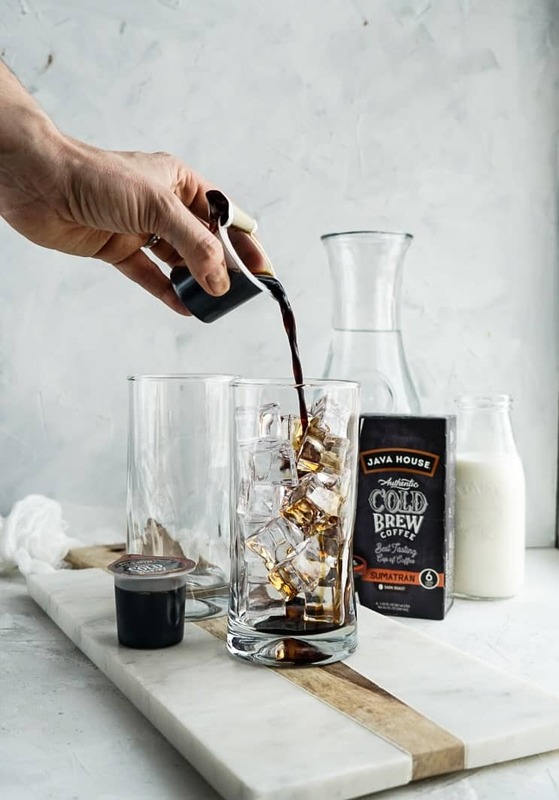 Just great tasting cold brew! 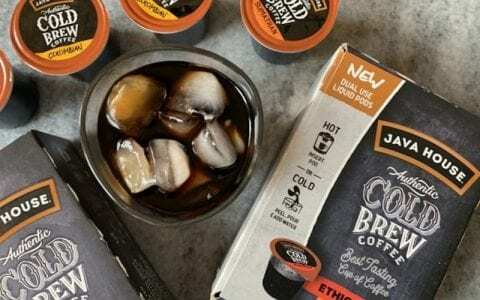 Java House liquid pods can be purchased online at Walmart.com, Target.com, Amazon.com and Javahouse.com, or purchase in-store at your local Walmart and Target. 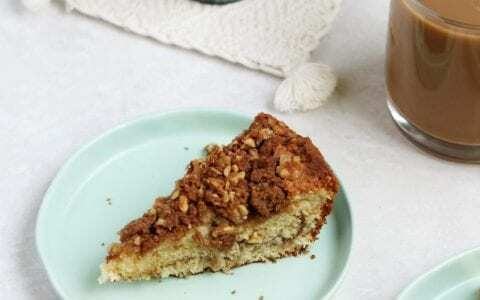 Love to experiment with your coffee at home? 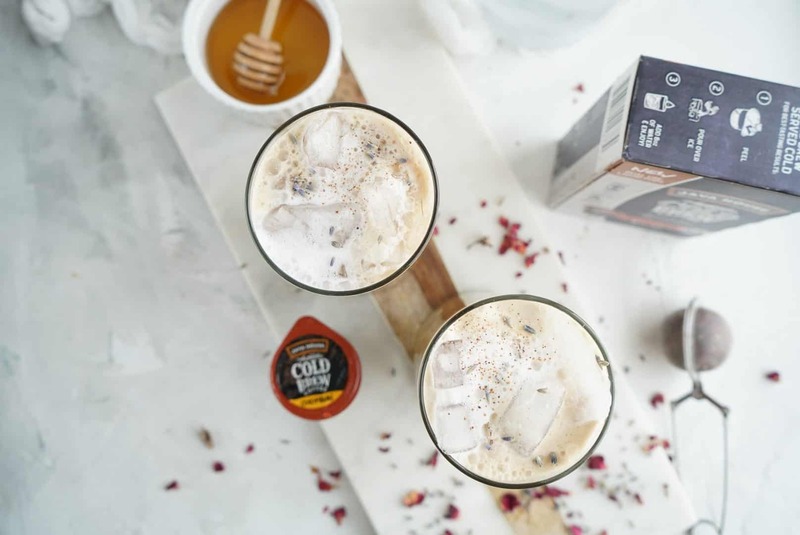 I have a yummy Iced Lavender Cold Brew Latte that’s just as easy to make as this cold brew! Bring to a boil, stir until sugar has dissolved. Remove from the heat and allow to cool and steep for at least 1 hour. 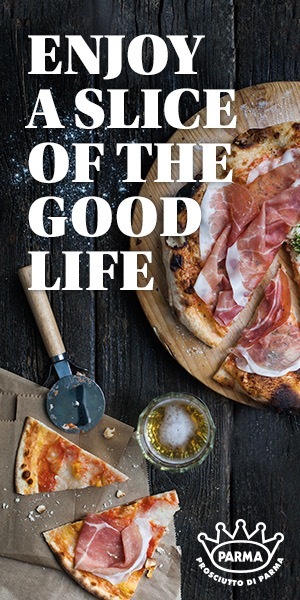 Pour into a bottle and keep in the refrigerator. Combine one Java House liquid pod and 8 oz water. Add milk and simple syrup and stir to combine. Pour over ice into desired cup.